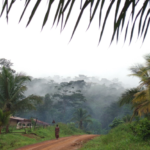 In three new publications, scientists from the Center for International Forestry Research (CIFOR) present research findings on REDD+ benefit-sharing mechanisms, land-use change, equity and corruption. 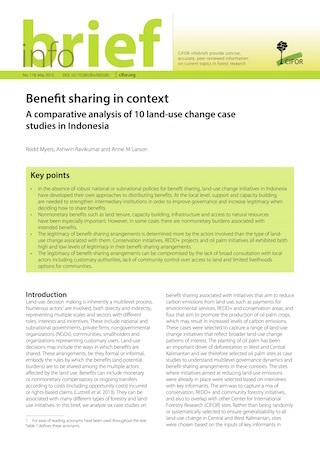 The brief Benefit sharing in context: A comparative analysis of 10 land-use change case studies in Indonesia comes to the conclusion that land-use change initiatives in Indonesia have developed their own approaches to distributing benefits, as they have no robust policies to rely on. The researchers found that the legitimacy of benefit-sharing arrangements can be compromised if local actors are not consulted and if communities lack control over access to land and have limited livelihoods options from those arrangements. More inclusion of customary committees (adat) improved legitimacy. Also, the legitimacy of benefit-sharing arrangements does not depend on the type of land-use change associated with them. This means that conservation initiatives, REDD+ projects and oil palm initiatives all exhibited both high and low levels of legitimacy in their benefit-sharing arrangements. simplify processes and shorten procedural times. 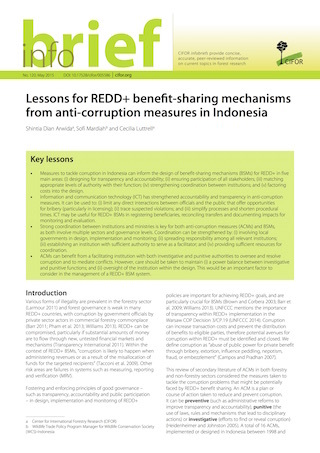 This is one of the Lessons for REDD+ benefit-sharing mechanisms from anti-corruption measures in Indonesia, another recent CIFOR brief. 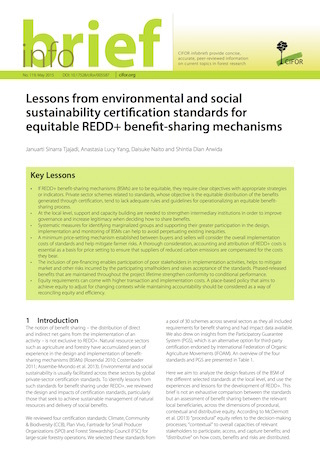 Researchers also concluded that strong coordination between REDD+ stakeholders is key to make benefit sharing work. Coordination can be strengthened by involving local governments; by spreading responsibility among all relevant institutions; and by establishing an institution with sufficient authority to serve as a facilitator. For a third info-brief, CIFOR scientists looked at questions of equity related to REDD+ benefit-sharing mechanisms. One of their main findings is that equity requirements can come with higher transaction and implementation costs, therefore the respective policies need to reconcile equity and efficiency. A minimum price-setting mechanism established between buyers and sellers will consider the overall implementation costs of standards and help mitigate farmers’ risks. Through a thorough consideration of REDD+ costs it can be ensured that suppliers of reduced carbon emissions are compensated for the costs they bear. 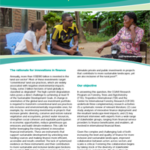 The researchers also advise that the inclusion of pre-financing enables participation of poor stakeholders in implementation activities, helps to mitigate market and other risks incurred by the participating smallholders and raises acceptance of the standards.